Had some time working on a newer version of SS15 SR turbo this weekend. Knowing the .64 might be restrictive up top, how ever I still want to keep it for its response, so I've grind down a larger exhaust wheel to suit the T28 bearing housing. Below is still the SS1.5 now running a much larger rear. I have also bored out the internal gate to 36mm and used an large 38mm internal wastegate. Its currently installed, response wise feel similar to the original version. How ever in upper top range it no longer feels like hitting a brick wall. I'm hopping to maintain the maximum compressor efficiency with lot less boost, while improve mid top range torque. Dyno tuning coming week hopefully. would one of these turbos with the .64 rear be suitable for around 15psi on an unopened motor? Not sure where Trent went this days. Not yet contactable. .64 rear is fine for up to about 250rwkws. I'm just trying new methods getting more power without adding lag this stage. sooooo I shouldnt run 12 pound on my T25 then? is that what you're saying? ^ I'm not an expert in T25 turbos, however 2x S15s I've tuned recently both run 1.2 bar, however bleed down to 1bar.. on the dyno, after about 7 hard 11km/sec ramps the motor started to ping (as the turbo started to glow). The stock turbine has a tinny rear wheel which will creep alot of back pressure and heat at high boost. They are also equip with a small 270 degree thrust bearing that doesn't handle turbine end pressure so well. So at high boost levels, through a period of time, it wears through the thrust and develop an shaft play. Some updates on the SS15 prototype. It behaved as expected. Managed to max out the compressor using way less boost. The engine is much happier and been able to take more timing up top. Down side is slightly laggier due to larger exhaust wheel. The most it made was 280rwkws peeked 26psi. Which at 21psi it managed to reach 270rwkws which was what the original version at using 25psi of boost. Pretty happy out come. Dyno tuned at Chequrered tuning based on pump 98 fuel. Purple and thick blue is from the new SS1.5 today. Stao, is that with VCT or no VCT? Wow, pretty good result.. would be amazing if you had VCT running. dumb question but how would this turbo react with VCT then in theory? That looks pretty impressive Stao. What would it take to convert my ss1pu to an ss1.5? VCT would be making around 500RPMs of different in response. I have bought the gear. it will be installed after I get this profile set. Its currently a lot more sensitive to changes in the wheel configuration. The SS1PU on this turbine would be getting over 300rwkws easy. So whats the major difference between the two turbos? Well its still the same compressor. All I did was changing the turbine. Main goal was reaching more power on less boost. Using the new turbine I'm been able to get 270rwkws based on 21psi while older turbine would required 25psi. The advantage is very useful when comes to stock engines that can't handel so much boost. Its holding pretty flat till 20psi. And then started to drop, I believe this compressor wheel is too small supplying 20psi to the engine after certain rpms. I'm developing an CBB turbo for it at moment. Looking to make some thing crazy. This might be some food for thought. I was looking at the specs of the BC S2 cams. 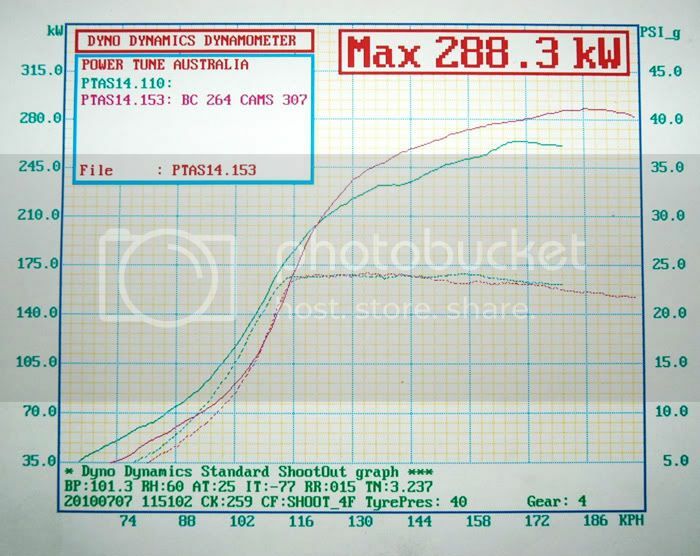 and found a dyno comparison of it vs stock cams. its 40kws differences in certain areas down low tho. Not sure what the Pon cams are like vs stock cams. Difference is in the turbine but same compressor. The idea was getting maximum compressor efficiency based on lower boost level. This have worked. 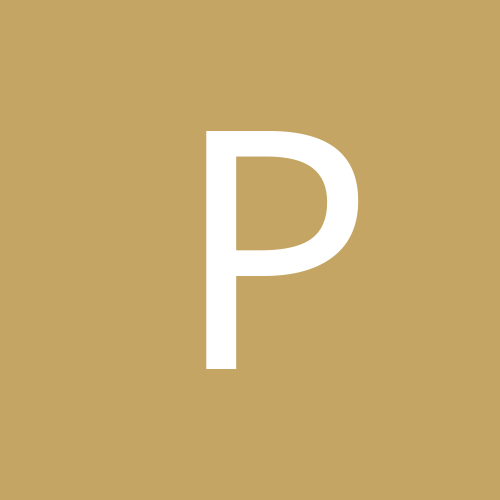 And after I get the limitation of what the compressor and turbine is capable of flowing, I will be able to precisely match an turbine with the right compressor, generating the most power for the level of response given. As for the moment the SS1 in .64 turbine would be perfect for 250rwkws mark. So whats the max potential for the 1.5 on e85 and about 25psi no cams? is the ss1 the atr28SS? (website doesn't share a lot of info) If so have you done any testing on this in .64 with standard non VTC SR20? The SRs output depending on its cams by a lot. Its almost as important as the turbo it self. The Difference between the BC stage 2 cams and tomei Pon cams is 15KWs, While the Pon cams has roughly 200 RPMs of better response. The SS1.5 on my BC cams maxed out at 270rwkws at 25psi. So technically that would be around the 290rwkws mark on E85. Currently the SS1 was trailed in .86 turbine housing that maxed out at 255rwkws, While the .64 is capable of flowing 260rwkws comfortably using the same turbine end. So I believe the .64 turbine should be just perfect for this compressor. Assume identical setup it should be maxing out around 250rwkws while reaching 20psi by 3600rpms on a none VTC SR20det. Posting a little update. This is the SS2 based ATR28 turbocharger with a even larger turbine. This particular one runs off ceramic roller bearings. Hopping to get 300rwkws+ with 20psi by 4000RPMs. That looks sweet, 300rwkw on an SR. So this turbo would be comparable to a 3071 or a bit bigger?